Export PST to HTML automatically. You are here: CoolUtils > Total Outlook Converter > Export PST to HTML automatically. If you decided to export emails to the mail client that doesn't support PST format, you will need to convert your mail history to EML format. Also exporting to EML allows using specific emails from your MS Outlook mailbox to EML-compatible mail clients. If you would like to export PST to EML with ease, Total Outlook Converter is your best helper. 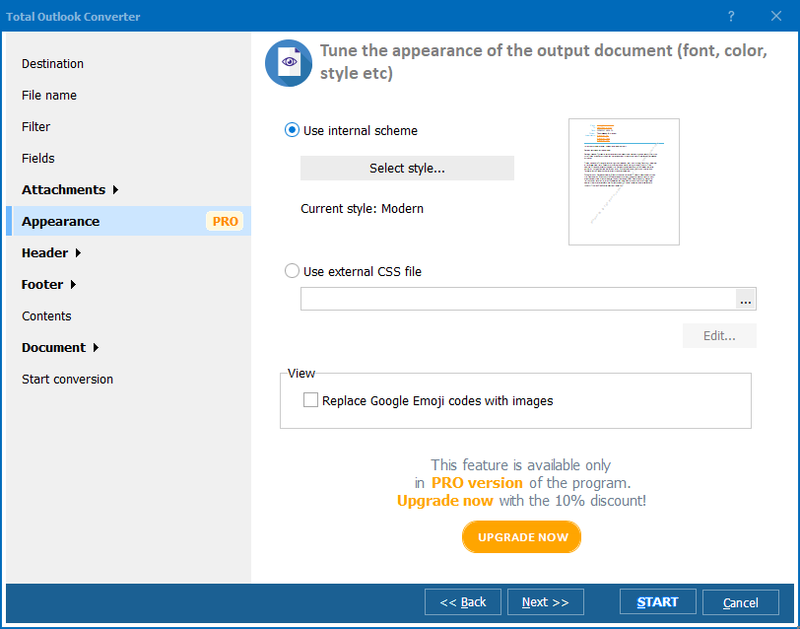 The program needs seconds to export thousands of emails to the format you need. It performs data export correctly and reliably, transferring all information to a range of formats, such as: DOC, TXT, HTML, TIFF, PDF, EML. Just switch the program to the correct conversion mode and make proper conversion settings. The format buttons are located in the top menu bar of the program window. Press on EML button after the proper emails are checked off and the program will enable PST converter to EML conversion mode. When converting a lot of emails, there is a problem of sorting the EML copies properly in the storage. 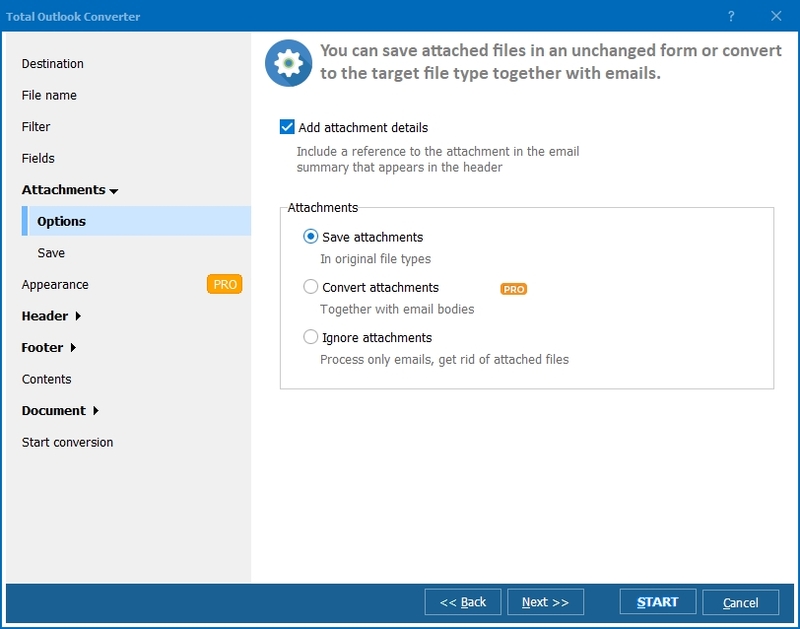 You can set a specific file name template that contains email subject or date of creation. 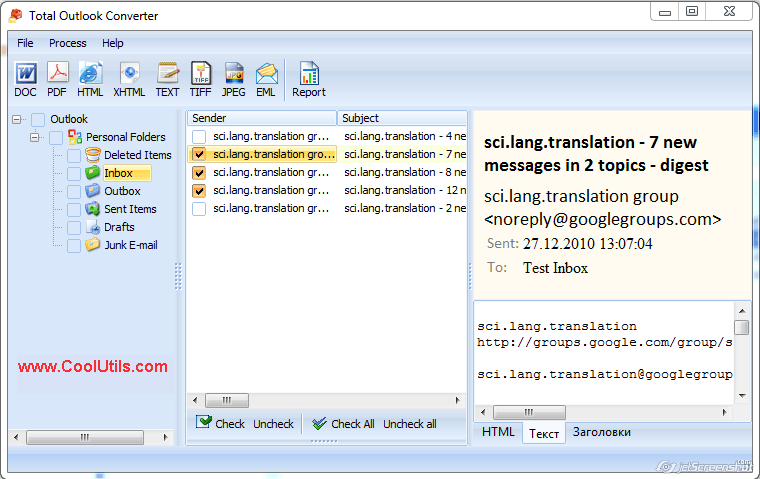 The program will automatically name the TXT copies using the information from the email fields you set. A lot of other options can be found in the settings manager. If you would like to export PST using default settings, simply press 'Start!' button in the manager window. In a few seconds you will get your emails converted. 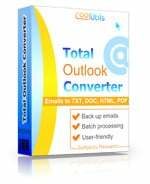 Total Outlook Converter is powerful enough to convert the whole PST inbox in one go. 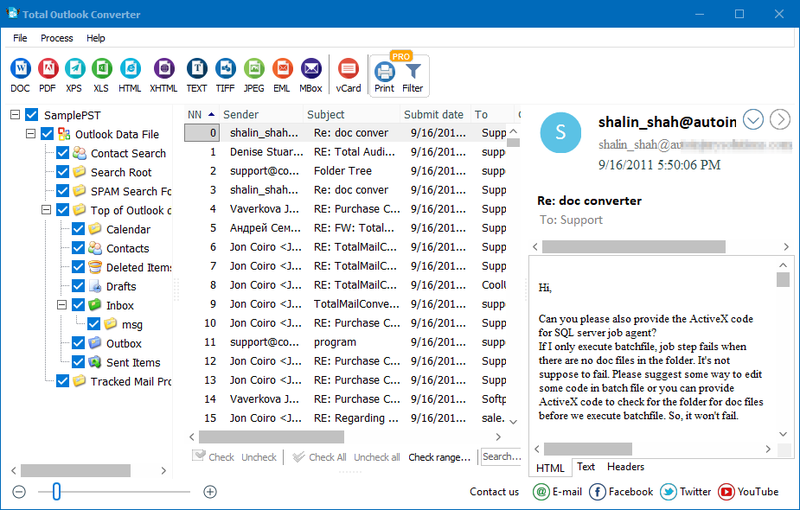 All you need is to click on inbox folder to see its content and press 'Check All' button in the bottom of the message list. In such a way you will include all messages from the inbox into a source batch for conversion. Download this handy PST converter here to get the latest updated version.